You will want to use a harder paper such as card stock or a canvas. 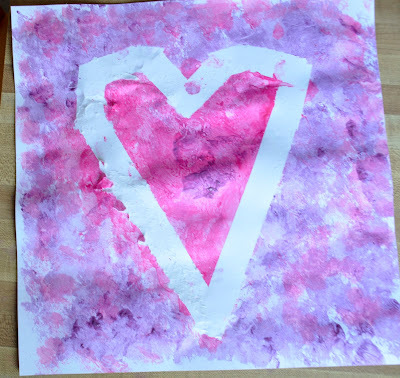 Make a heart shape with masking tape. 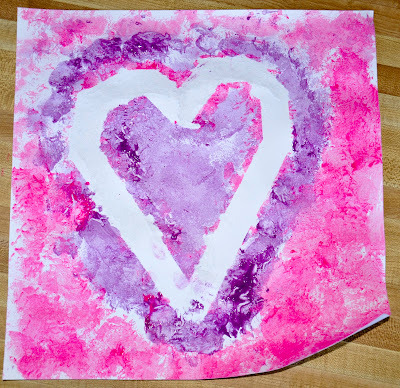 Use valentine's colors to paint on the paper. When done, carefully peel the masking tape off.